In data encryption, the security of the algorithm is measured based on Shannon’s confusion and diffusion properties. 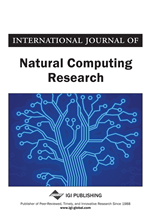 This paper identifies the correspondences and highlights the essential computation elements on the basis of randomness and non-linearity of immune systems. These systems can be applied in symmetric encryption algorithm that satisfies the properties in designing a new symmetric encryption block cipher. The proposed symmetric encryption block cipher called the 3D-AES uses components of the Advanced Encryption Standard (AES) symmetric encryption block cipher and the new core components based on immune systems approaches. To ensure adequate high security of the systems in the world of information technology, the laboratory experiment results are presented and analyzed. They show that the randomness and non-linearity of the output in the 3D-AES symmetric encryption block cipher are comparable to the AES symmetric encryption block cipher. Traditionally, cryptography is a study of the means of converting information from its normal, comprehensible form into an incomprehensible format, rendering it unreadable without secret code. Historically, cryptography helped ensure secrecy in important communications, such as those of spies, military leaders and diplomats. In simple terms, cryptography is the science concerned with the study of secret communication. With the invention of computers and the internet, the need for this encryption algorithm is now universal in the world of information security. The field of cryptography (Schneier, 1995) can be divided into two techniques of study, which are asymmetric key algorithm and symmetric key algorithm. A symmetric key algorithm, or sometimes called public key algorithm, is usually based on complex mathematical problems. Symmetric key algorithm can be broadly grouped into block ciphers and stream ciphers. Other symmetric key algorithms are cryptographic hash functions and message authentication codes (MACs).